At Dale and Sons we will take the time to gently guide you through everything, answering any queries or questions you may have. 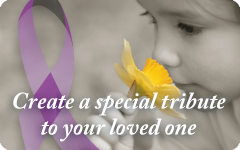 Using our knowledge and past experience we are committed to caring for each family at a time of loss. We recognise that each funeral is special for each individual family and we strive to ensure that each funeral is personal and unique. We will arrange the funeral according to your wishes and requirements, making the process as easy for you as possible and ensuring that your loved one has the perfect send off. We can advise you on the options available for the funeral in the comfort of your own home or at our office in Denham. Our services include liaising with the doctors, hospitals, clergy, crematoria, cemeteries, newspapers, caterers, musicians and anyone else who needs to be involved. We have our own in house florist who can provide you with beautiful and unique floral tributes. We can help design your funeral stationery such as orders of service, memorial cards, dove release,attendance cards and thank you cards. We can also assist you with choosing your reception venue and catering needs. We will deal with all legal requirements and formalities, ensuring relatives have no more to worry about than is absolutely necessary at this difficult time. In addition we offer a world-wide repatriation service. A memorial is a symbol of remembrance, a tribute to a life now ended and can be a final gift to someone dearly loved, so we work closely with a stonemason of distinction for all your memorial requirements. We offer a 24 hour service, giving you peace of mind that we are here for you whenever you should need us both day and night.